If your business generates commercial waste, you need to know exactly what to do with it. Leaving commercial waste on your premises can only lead to hazardous consequences, for you and your employees. Make sure that you deal with commercial waste carefully- Preston Skip Hire have just the solution! Before you can dispose of any commercial waste, you need to carefully plan your project. If you expect your business to generate immense volumes of commercial waste, you could benefit from commercial skip hire in Preston! To get the best value for your money, you need to be prepared; choose skip hire in Preston that you can trust. Find a reputable skip hire company. A reputable skip hire company will provide you with all you need to know about skip hire in Wigan. Preston Skip Hire have a positive reputation when it comes to providing customers with a suitable solution for disposing of waste. We provide affordable skip hire in Wigan accommodating the budget requirements of all commercial businesses. Our services are priced competitively to ensure that you receive the best value for your money, can you afford to miss out? When it comes to skip hire Chorley we can collect your skip as soon as it’s full. Like any of the services we specialise in at Preston Skip Hire, our skip hire services are hassle-free, all you need to do is arrange for your skip to be delivered at a suitable time. We use our reliable fleets to collect your commercial skip once it’s full, making skip hire in Chorley even more convenient. Our team of experts can provide you with a professional service that is tailored to your exact needs and wants. With resources running out, it’s only right that you dispose of commercial waste in an environmentally friendly manner. Our skip hire in Bolton will allow you to conserve resources and save energy. Preston Skip Hire aim to recycle 90% of the entire contents found inside your skip. We reduce the volume of waste that’s sent to the landfill site. Skip hire in Bolton can prevent your commercial waste being disposed of incorrectly. When we collect your commercial waste, we transport it to the nearest sorting facilities where we thoroughly sort through your skip, identifying which materials can be reused, which can be recycled, and which need to be sent to landfill. Commercial skip hire is provided to accommodate the needs and requirements of all customers, so no matter what industry you work in, you can rest assured that Preston Skip Hire have an effective solution for disposing of your waste. For the waste that is found inside your skip, we make sure that it’s only sent to landfill as a last resort. We try to reuse as much waste as possible. 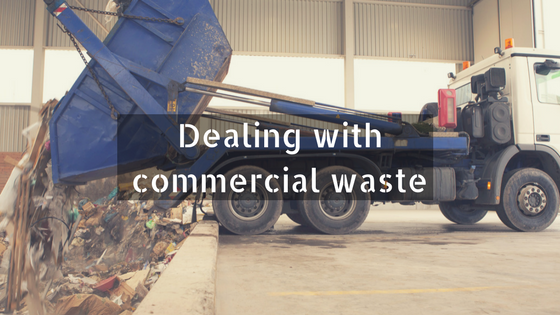 When dealing with commercial waste, you need to make sure that materials are handled and disposed of carefully. Why not leave it to the experts at Preston Skip Hire? If you’re looking to dispose of your commercial waste, what better way to do so than to invest in skip hire in Leyland? Our skip hire services are tailored to suit your unique business requirements, allowing you to dispose of commercial waste safely. Here at Preston Skip Hire, we deal with commercial waste in a way that’s sustainable, preventing any serious consequences and preserving the environment. Our experts take care of commercial waste disposal, saving you the time and allowing you to focus your efforts on other aspects of your project. Our skip hire Leyland services are guaranteed to enhance safety on site, ensuring that there’s no compromise made to the safety of your employees. Hiring a skip from Preston Skip Hire can prevent any hazards arising and reduce the risk of injury, not forgetting the fact that it can prevent any unsightly premises. The commercial skips that we supply are arguably the safest way to deal with commercial waste.